In 1066, William, Duke of Normandy, invaded and conquered England. The kind of philosophy of law enforcement brought with him was that of a highly repressive police system. Collective security was deemed far more important than individual freedom, so William proceeded to militarize the existing civil arrangements of the Anglo-Saxons. He divided England into fifty five separate military areas and placed an officer of his own selection into each shire to take charge. In this way the state assumed the responsibility for keeping the peace, and set the stage for a diminution of community responsibility. In effect, martial law was created. King William decided that the shires should no longer try cases and therefore selected his own judges to travel about the realm. They were called vice comites and represented a division of responsibility between law enforcement and the judicial process. Until that time, each shire had done these things for themselves. The vice comites was an unpopular public officer, for the people believed his sole purpose was to collect as many fines as possible. These traveling judges were the forerunners of the circuit judge of today. In 1116, Henry I, son of William the Conqueror, issued the Leges Henrici, from which Henry received the title, "Law Giver." These laws divided England into thirty judicial districts, and are particularly important for the following reason: "......there will be certain offenses against the kings's peace, arson, robbery, murder, false coinage, and crimes of violence." This brought into acceptance the idea of disturbance of the peace, the concept that men were to be punished by the state, rather than by the individual or group that was injured. Serious crimes, said the king, "we deem to be felonious." The word 'felon' at that time referred to a person of the lowest degree. Other offenses were termed "misdemeanors," meaning bad behavior, and consisted of lessor violations. King John assumed the English throne in 1199. By that time the people were thoroughly disgusted by the brutality used against them in the name of justice. On June 15, 1215, King John was forced to sign the Magna Carta, (great charter) which guaranteed basic civil and political liberties to both the people and nobles. Article 13 states: ". . . and the City of London shall have all its ancient liberties and free customs. 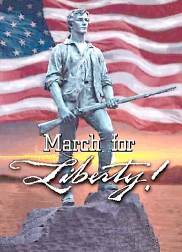 Moreover, we will grant that all other cities and villages shall have all their liberties and free customs." In this manner, local control was restored to the communities of England, and thus was established a clear separation between the nation and local government. Article 39 states: ". . . No freeman may be taken or imprisoned or disseized or outlawed or banished or in any way destroyed. . . except by the lawful judgement of his peers, or by the law of the land. To none will we sell or deny or delay right to justice. We will not make men Justiciaries, constables, sheriffs, or bailiffs, unless they understand the law of the land, and are well disposed to observe it." So, in this way trial by jury and due process were installed as the right of a free people. The phrase "police state" has an ominous ring to those who are not striving to impose or maintain one. From the days of fascist Sparta to the Nazi Gestapo or the Soviet KGB, the lessons of history teach that dictators and oligarches must centralize police powers in order to impose their will and maintain control. Often, the would-be dictators themselves incite the violence that then serves as an excuse for centralizing police power and disarming the citizens in order to "solve" the problem. Adolph Hitler did just that to facilitate his rise to power. On June 16, 1936, for the first time in German history, a unified police was established for the whole of the Reich. . . previously the police had been organized separately by each of the states. . . and Heinrich Himmler was put in charge as Chief of the German Police. This was tantamount to putting the police in the hands of the S.S., (Schutzstaffel or Blackshirts), which since its suppression of the Roehm "revolt" in 1934 had been rapidly increasing in power. . . The Third Reich, as is evidenced in the development of all totalitarian dictatorships, had become a police state." Gun control also played a crucial role in solidifying Nazi rule, confirming that dictatorship thrives best where the people are disarmed, since there is then little chance of mounting an effective challenge to those in power. Section II, paragraph 3, part 5 of Hitler's March 18, 1938 "Weapons Law," asserted that a license to manufacture guns "must not be issued if the applicant. . . or if one of the persons proposed for the commercial or technical management of the business. . . is a Jew." In contrast, Section IV, paragraph 12 provided that a "firearms acquisition permit is not needed by" among others, "Officials of the central government" and "the states." Moreover, Paragraph 19 exempted those "to whom a firearm is supplied for official purposes," including persons "in the service of the central government and the states," "the S.A. [Storm-troopers]", and "the SS [Blackshirts]." Hitler realized that in order to establish a dictatorship he had to control the police powers and he had to confiscate the guns. But he did not tell the German people it was his intent to enslave them. By the time they realized what had happened, it was to late. Can this be happening now, here in America? The national media tells America every day that more federal involvement in law enforcement and more restrictions on the private ownership of firearms are needed in order to counter a growing crime wave that appears to be out of control. But, what the media does not tell us, is that this crime wave has been exacerbated by the Supreme Court decisions and other government policies that have placed the rights of the criminal ahead of the rights of the victims. We can sit quietly and allow it to happen, or we can discuss it among ourselves and allow it to happen. Shall we quietly acquiess and appear to be docile fools, or should we take to the streets in loud protest. Can we afford to remain silent as a nation? We've been divided into many political splinter groups which serves those who would be our masters. Our unity as one people, "Americans," has been destroyed. Through this division, we are being conquered. If we as a people are willing to die for the freedom of others, can we be willing to do less for ourselves? The most important function of the law enforcement services in America today should be the fulfillment of its function as the protector of the people. As public servants known in the past as "OFFICERS OF THE PEACE" police today have become known as "LAW ENFORCEMENT OFFICERS"
Today law enforcement is becoming recognized by the majority of the people in this nation as the exercise of unlawful dominion over others. Law enforcement appears as the imposition of the will of the state by force and fear. The law enforcement officer today enforces an artificial morality for the benefit of the state. Every time a "law enforcement officer" issues a citation, arrests, or assists in prosecution of a victimless crime, they are enforcing not law, but "PUBLIC POLICY" legislation. But law is no panacea. Law does not necessarily have to be good or fair. One can easily lose one's liberties and freedom through law. Law is enforced through police power and obeyed through fear. Hitler came to power through "LAW." He professed to act in the "National Interest." Anyone who was against Hitler, was said to be against the national interest and the people. The words haven't changed. The characters are different. The agenda is the same. Hitler came to power legally and instituted dictatorship legally. It's impossible for a people to say "no" when you are disarmed and living in a police state. Randy Weaver said 'NO." The people at Waco said "NO." In Philadelphia the MOVE people said "NO." The evidence speaks for itself. . . Are you willing to say "NO" while you still have the chance? "Decency, security and liberty alike demand that government officials shall be subjected to the same rules of conduct that are commands to the citizen. In a government of laws, existence of the government will be imperiled if it fails to observe the laws scrupulously. Our government is the potent omnipresent teacher. For good or ill, it teaches the whole people by it's example. Crime is contagious. If the government becomes a law breaker, it breeds contempt for the law; it invites every man to become a law unto himself; it invites anarchy. To declare that in the administration of criminal laws the end justifies the means --- to declare that the government may commit crimes in order to secure the conviction of a private criminal --- would bring terrible retribution. Against that pernicious doctrine this Court should resolutely set its face. . .
And so should every law enforcement officer, student, practitioner, supervisor, and administrator . . . "